Vox Popoli: Darkstream: gateways or gatekeepers? You see people like Shapiro, you see people like Peterson who have been elevated, and the reason that they have been elevated is because their whole job is to prevent young men especially from moving to nationalism. Everything that you see come out of their mouths is anti-nationalist. Now, it's not always directly anti-nationalist, you know Peterson is more clever than Shapiro. What Peterson does is he criticizes things like the European Union, he criticizes the United Nations because he thinks that they are moving too fast, too far, but his goals are exactly the same as George Soros. What was really interesting was I read an interview with George Soros, it's on my blog, and one of the things that he said which was really striking was how he is non-ideological. Sound familiar? Jordan Peterson considers himself post-ideological. And Soros's big concern is that the left has gotten too extreme, just like Peterson talking about how he wants the reasonable left to replace the SJWs because they go too far. 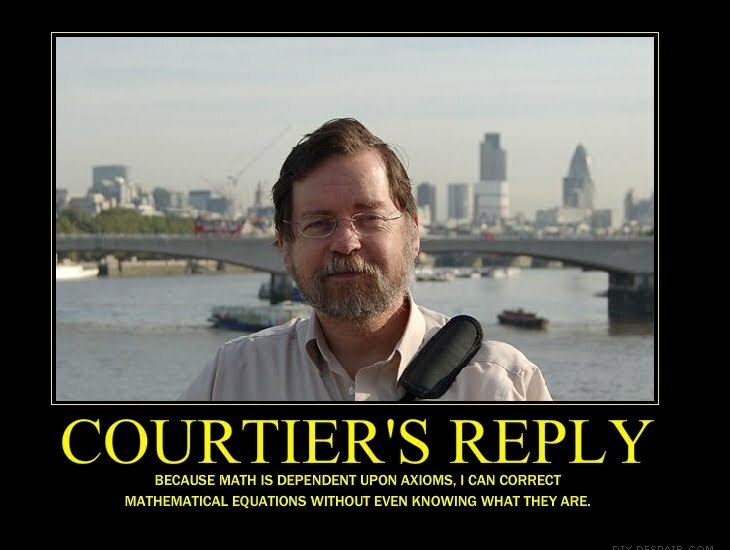 Now here's the way that I can prove to you what I'm asserting. A lot of these people say that, well you know, they're gateway drugs, you know, first young men encounter them, and then after that they're able to move on to Steve Sailer, and after that they're able to move on to Mike Cernovich and Milo, but that's not true. I'm not saying it never happens but I can mathematically prove to you, I can logically prove to you, that this is not happening. from Jordan Peterson and from Ben Shapiro, but that's exactly what we don't see! We actually see people who follow these guys coming out directly against any criticism of them. I actually watched a Jordan Petersen video on you tube and he was arguing against the idea that there is no difference between men and woman. he started out strong. and then, in the middle of his answer, he swerved into stating that certain jews have an average IQ of 115. he said the average in the west is 100. he then argued how that has little meaning in general but at the margins, such as genius, it means most geniuses are jewish. his move into this tangent made no sense. i thought of what Vox has been writing about this jewish IQ myth being based on a small sampling of jews in hebrew school years ago and i had to laugh. in one brief video clip Peterson proved everything that Vox had said about him was true. The best part is even if the sampling was accurate, it would be increasingly irrelevant. Jews in the United States have had a collapse in fertility with the most extreme results at the upper IQ tiers. While this has occurred with all whites, the Jewish case is the most extreme which means Jewish IQ should be declining faster and approaching the white average. We should see Jewish over representation decrease over time as there are less and less smart (or even minimally competent) Jews available to fill positions. Elijah, I'm singing in that Mendelssohn oratorio this year. Funny thing, the only time (((they))) are at relative peace or in good conditions is when they abide by the LORD's covenant. Turn away (Hi, Baal! Burn anyone today?) and it's loss of grace, physical disaster, and a prophet or the Messiah to redeem them. Every single time, right back to Genesis. That's a pretty appalling record for a tribe of geniuses. But I hope their rooms are clean. Cause and effect is elusive...I've had a number of friends transition from well to the left of JP and little Benji in the last year or so...Is it Trump? Is it partly my influence? Is it the world changing so rapidly? Dunno, but some have said that I am an "influencer." I love your streams. I crank them through my house speaker system while I'm doing housework. The difficulty is that being "non ideological" is an ideology. Ideology - philosophy - is inescapable for anyone intelligent enough to have some opinion about the world. If you think at all, then you *will* have a philosophy. Philosophy isn't just one way of having a world view, it *is* having a world-view. The difficulty is that being "non ideological" is an ideology. Of course. It's nonsense. Which is one reason that both Peterson and Soros are charlatans, from the intellectual perspective. We need to give up on the myth that people gradually drift along a political spectrum, Right to Left or Left to Right. That is exactly the thinking of civic nationalists, who believe they will catch any and all of the moderates and centrists that move an inch to the Right (and thus starve the Far Right out of existence). By my own observation, it is more likely that political jumps are made to the corresponding position on the opposite end of the spectrum. Extreme Leftists can become Extreme Rightists. We have all seen it ourselves and the literature is full of people who started life on the Left (or Right) and switched to the opposite pole later in life. People who are moderates and centrists seldom become extremists. They may lean Left of center when they are out of work. They may lean Right of center when they have to do taxes to pay for it all. But I have never seen a migration of people voting themselves out of the center. In the chaos of the Weimar Republic in the 1920s, the contest in the street was between Nazi and Communist....not because they were opposites but because both were totalitarian ideologies. The reason the Nazi party won out (based on my own reading) is the fact that they accepted "former" Communists as new members of the Nazi party. The Communists were not so open to Nazis becoming part of their movement. Neither rival can claim to have the bigger or more violent thugs. It may be, as distasteful as it might seem to many of us, that the most fertile recruiting ground for Alt-Right is exactly the SJWs we despise and loathe. They are not moderates or centrists....nor are we....but they have the range of human emotion that compels them to act on their political beliefs without investing too much into serious ideology. WE are not the Far Right and the SJWs are not the Far Left. What separates us from SJWs is egalitarianism and that is their weakness, not ours. @3: Your claim of a particularly severe collapse of high IQ Jewish fertility fits right in with Ron Unz's The Myth of American Meritocracy. Elite colleges still have disproportionately huge Jewish enrollments, around 25% according to the essay out of 1.8% of the college age population, but these, and the nation's young Jews in general, aren't very intelligent. MIT's enrollment of only 9% is an outlier, because their core curriculum is so hard they don't admit anyone who can't do it. And let not one of them escape you! And there let them be slain!" Peterson may be a no-Christian but he's not an anti-Christian. The same cannot be said of little (((Benny))). DonReynolds wrote:People who are moderates and centrists seldom become extremists. Moderate and centrist are the positions of the apathetic. If you don't really care much, you can happily say ``whatever, dude,'' as long as no one harshes your mellow. If you actually care about an issue, you are going to take a side. My husband has recently discovered Ben Shapiro and has enjoyed listening to his social arguments. He likes him. But I can definitely see why this is a problem. My husband is not a Free Trader. He is a light protectionist and has been for years. He's also lightly nationalist. Ben agrees just enough to satisfy whatever it is that prompted him to deviate from his normal pattern and he won't go looking for something deeper anytime soon. I've been dropping ZMan breadcrumbs lately. See if we move beyond Ben. The popular concept of the political spectrum (Left vs. Right, Conservatives vs. Liberals, Republicans vs. Democrats) is a Lie, maintained today to support the Establishment's iron grip on power. Drawn correctly it would have total tyranny at one end and total freedom at the other. Today both "Liberals" and "Conservatives" operate at the same end of the spectrum, on the "total tyranny" side of the line as do Communists and Nazis. Obviously, both Jordan Peterson and Ben Shapiro also operate on the "total tyranny" side of the line. The words we use to discuss politics have been so corrupted as to be useless. Those who want to preserve the Welfare/Warfare state (some so-called liberals, the RINO side of the GOP, and the neoconservatives) really ARE conservative in the classical sense in that they want to preserve thoings as they are. Many people who call themselves conservatives really want to "conserve" very little of that which is and instead return to a more free society so they are not conservative at all. I prefer "sidetrackers" or "diverters" myself. Gets to the meat of what they do... throw people off in the wrong direction or get them stuck short of the whole picture. David Power wrote:Peterson may be a no-Christian but he's not an anti-Christian. "but every spirit that does not acknowledge Jesus is not from God. This is the spirit of the antichrist, which you have heard is coming and even now is already in the world." There is video of JBP failing to confess Jesus is the resurrected Lord. In the very same one that he claims to be a Christian. That is an antichrist wolf putting on sheep's clothing so as to devour the flock. Wake up or get out of the way. Jehu's sacrifice to Baal was nice too. I hope we habe a few more days like that ahead and of course Christ destroying them with the brighteness of His coming. These folks really seem to exist as figureheads for the *left*, kinda like house-conservatives. They are the nice ones who state they are 'above the fray' and don't fight to take back what was lost. your definition of anti-Christian needs work. Peterson's entire schtick is to convince men that Christianity is False but Useful. That's definitely the spirit of the anti-Christ. OT: It looks like the trade war is for all the marbles. If Bannon isn't playing bad cop (non-zero probability considering Trump's negotiating style), Trump is a top 10 U.S. President at least in terms of the challenges he has taken on. According to Bannon, the victory conditions are China completely opens up (CCP gives up economic control) or China's economy gets crushed. I think the answer is simpler. There is only power. Power is the ability to get otherwise to obey your will. And how do you know it is your will they are following? Because they suffer. Leftism is the seizure of power and the goodies it offers its footsoliders is power. So the more leftism in a society the more people are competing in order to make others suffer. This is why it leftism destroys societies and is most destructive on the most leftist segments. Leftism is not inevitable. Often a leftist rides the wave and once they have power executes people to make sure no one gets power from them. Oliver Cromwell and Joseph Stalin both did this. one of the things that he said which was really striking was how he is non-ideological. Soros and his ilk are Skinwalkers. They will put on whatever skin they need in order to move about and consume the masses. MPAI will follow the shiny where ever it leads. For me, it was a combination of rhetoric, facts, and history that just didn't line up. Specifically my Republican past of 40 years of invalidated promise and theory. Those three things red-pilled me. Forget about Ben Shapiro. Remember that he is the guys who, as a college undergraduate, thought that he understood the culture and dynamics of the Middle-east better than any business or military veteran with, say, 20 years experience in the region. Why anyone would listen to this bozo from that point (around 2003) on is completely incomprehensible to me. Then there is the egregious Frum (David Frum), who read anyone who did not support the invasion of Iraq out of the conservative movement. Have you looked at using https://sli.do for questions? If you go for the paid option you can give exclusive access to people to ask questions, which might be a good perk for voxiversity, etc. Is the worst possible advice. Your house will never be in perfect order. Peterson's mental and emotional house in particular is in incredible disarray. This is simply a hypocritical call to never do anything, under any circumstances, ever. 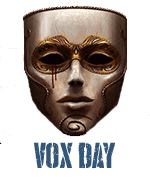 Molyneux was my gateway to Vox Day. I was already careening rightward from libertarian ideas when I briefly stumbled upon Shapiro, agreed with some cookie cutter talking points but it didn't add anything in addition to finding him rather unpleasant. A few weeks later Lewandowski hurt one of Shapiros buddies feelings, Shapiro went never trump and I went never Shapiro. The only reason I new about Peterson was that I was into Men's Rights at the time of the pronoun scandal. Didn't find him interesting and was annoyed that he seemed to draw oxygen away from more important issues. A fried of mine convinced me to listen to his biblical lectures, do his personality test and read halfway through 12 rules. bleck. His pathological individualism on twitter among a laundry list of other offences was it for me. So I can't really say whether I was on to them from the start or if it's just confirmation bias. Not to mention the huge number of secular Jews who breed out with non-Jews. As far as there being "more Jewish genuises in the West," demographically that doesn't make any sense. Anglos are somewhere between 62-67% of the American pop. and Jews are 1.8-2.1%, depending on whose data you look at, so just by sheer numbers, there are vastly more whites with IQs of 135 than Jews. If you factor in the high IQ Africans, Iranians, Asians, Indians, etc. in with the white numbers, then it's a ridiculous assertion. While he sat at Harvard pecking out missives encouraging white Christians to sacrifice themselves for his proxy warmongering. I loathe this little turd in ways I'm not capable of fully expressing. Ironic advice, considering a recent pic of Peterson's "room," shows that he doesn't follow his own directives. Not really. Like Google's "don't be evil", it's not advice to OTHERS, it's actually advice to himself. Peterson is a crazy man trying to hold it together. Let the World set it's own house in order before it criticizes me. "What separates us from SJWs is egalitarianism and that is their weakness, not ours." That and mental illness caused by genetic mutation. They are literally mutants. Skinwalkers. Yes, these people are real chameleons. we have serious civilisational challenges that will not be addressed by a jungian self-development movement. vox --- on the gateways question i disagree with you, i believe people self-radicalise on the internet in the same way as jihadist. and there are so very many gateways... but yes, individuation-shamanism and civic-nationalism - even in combination ! - are pointless time-wasting.